Paprika is a pungent powdered spice made from the dried fruit of capsicum, or pepper, plants. Bell peppers are the milder form of this species of plant, while chili peppers are the spicy varieties. Cooks worldwide use this spice, but it is especially popular in Indian cuisine. When heated, it releases its flavor and bright orange or red color. Most people are aware that this spice adds flavor to many recipes, but many are unaware of the health benefits of paprika. Paprika contains a variety of vitamins, minerals, and other nutrients that benefit the skin, hair, and overall health. The spice is readily available in any local grocery store. Consumers should look for the organic variety to ensure they are receiving all the nutrients and their potential health benefits, free of chemical fertilisers. 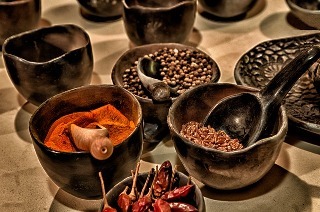 Many of the ingredients found in this spice have positive effects on the skin. It is rich in beta-carotene, an organic compound that gives it its rich red-orange color. The body converts beta-carotene to vitamin A, which plays a critical role in skin health. Vitamin A promotes a bright complexion and provides anti-aging benefits, including preventing the formation of wrinkles. Along with the beta-carotene, iron, and vitamins help prevent age spots and freckles. When the spice is combined with honey to create a facial mask, it reduces the appearance of fine lines, helps tone the skin, and is helpful for treating blackheads and blemishes. It is a good idea to perform a patch test before using it as a topical agent because some people can have an allergic reaction. Paprika has antibacterial properties making it effective in treating a variety of bacterial skin problems, including acne. Studies show it has properties that strengthen the veins. This makes it helpful in diminishing spider veins and preventing new ones from developing. The benefits to hair come from the vitamin B6 and iron, which are both abundant in this spice. Iron helps by improving circulation to the scalp and stimulating hair growth. Vitamin B6 blocks certain hormones that stop hair growth lowers stress that can lead to the loss of hair. These two nutrients together promote fuller, healthier hair. 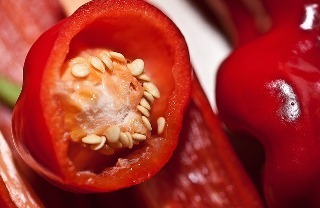 Paprika contains many nutrients that have positive effects on the circulation system. The potassium found in paprika helps improve blood pressure because it is a vasodilator. Vasodilators increase blood flow by decreasing vascular resistance. 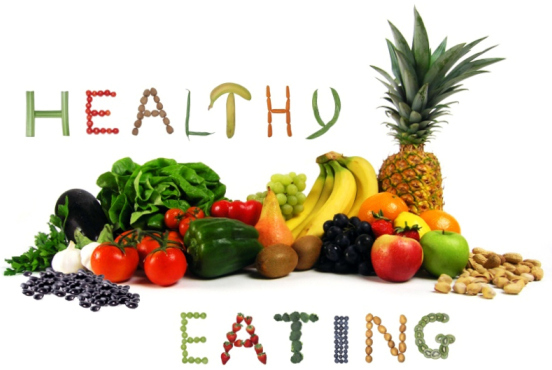 This reduces the risk of heart disease, strokes, and atherosclerosis. Iron, copper, and vitamin E are necessary for forming new blood cells. Iron deficiencies can cause anemia. Vitamins E and K are essential for blood clot formation. Without them, the body does not have the ability to heal wounds. Calcium is a nutrient that is essential for bone health. In children, calcium is necessary for building strong bones. Later in life, calcium maintains bone density. Maintaining calcium levels in the body is important for preventing osteoporosis, a disease that causes the bones to become brittle and more susceptible to breaking. Calcium is important for other physiological functions, including muscular function and nerve transmission. The heart is a muscle that relies on the nervous system to maintain a regular heartbeat. A lack of calcium can lead to high blood pressure and cardiovascular disease. Manganese is another mineral necessary for healthy bones. Manganese plays a role in bone metabolism and helps to create the enzymes necessary for building new bones. It facilitates calcium absorption and regulates proper function of the thyroid gland in addition to regulating blood sugar levels and helping with the metabolism of carbohydrates and fats. Manganese deficiencies can cause high blood pressure, poor eyesight, high cholesterol, memory loss, and problems with hearing. Paprika is rich in potassium, a mineral important for electrical and cellular function. Potassium is an electrolyte, and is the main positive ion found in all cells of the body. It regulates water balance and helps maintain proper pH levels in tissues and blood. It is essential for nerve conduction. Potassium regulates the heartbeat and generates muscle contractions. A potassium deficiency can cause muscle spasms, cramps, twitching, and weakness. When it affects the involuntary muscles in the intestines and stomach, it causes cramps, bloating, and pain. This spice pairs well with a variety of foods. When combined with garlic powder and other spices it makes a healthful rub for lean red meat, fish, or chicken. It makes a great seasoning for carrots, sweet potatoes, and other healthy vegetables. It also adds good flavor to dips and soups. 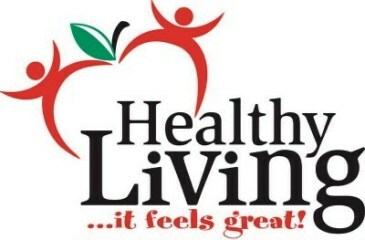 A little goes a long way, so it does not take much to enjoy all the health benefits paprika offers.